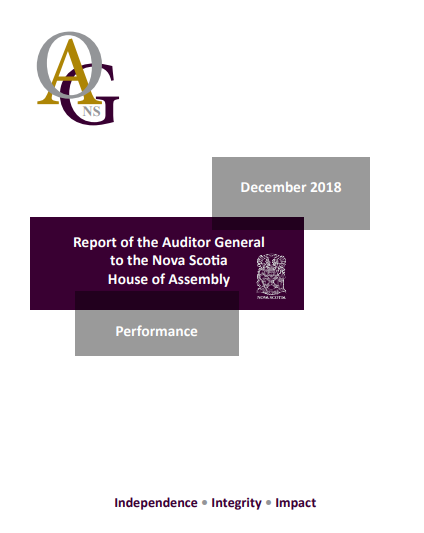 Nova Scotia Auditor General, Michael Pickup, released his December 11, 2018 report to the Nova Scotia House of Assembly. The report includes three audit chapters, one covering IT oversight of the Health sector at four entities – The Departments of Health and Wellness and Internal Services, along with the IWK and Nova Scotia Health Authority; a second chapter related to financial management controls and governance at the IWK; and the third looks at governance and financial sustainability at the Workers’ Compensation Board. Nova Scotia Auditor General, Michael A. Pickup, CPA, CA released his October 2, 2018 Financial Report to the House of Assembly. 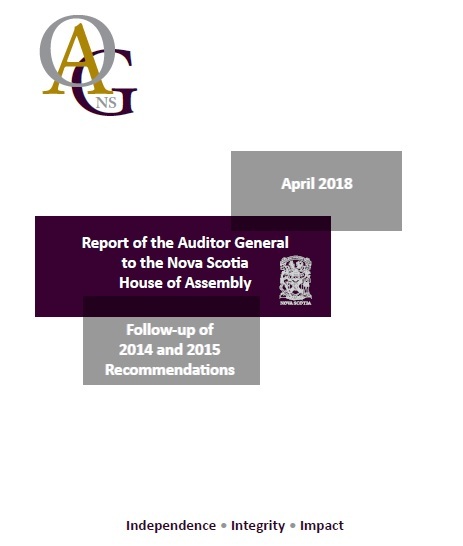 The report provides information on the audit of the March 31, 2018 Consolidated Financial Statements of the Province of Nova Scotia, as well as the results from audits of government organizations. The report also provides highlights on the Province’s financial condition and results and updates on the status of prior year observations and recommendations, including an update on pensions in the public sector. 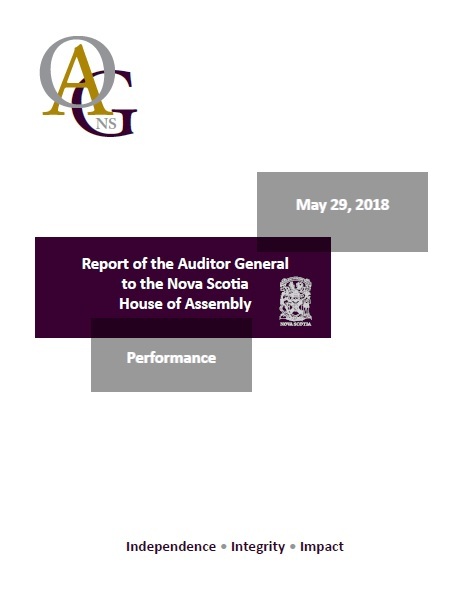 Nova Scotia Auditor General, Michael Pickup, released his May 29, 2018 report on three audits to the Nova Scotia House of Assembly. The report includes three audit chapters, two at the Department of Justice addressing Corrections and the Maintenance Enforcement Program, and the third covering Grant Programs at three Departments. See below for chapter titles and links. 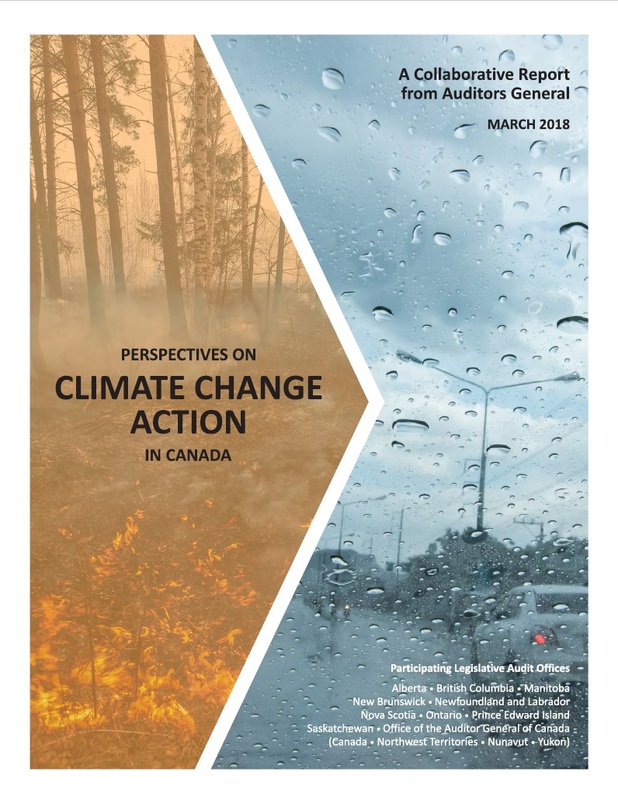 Nova Scotia Auditor General, Michael Pickup, released a March 2018 summary report to the House of Assembly on government responses in Canada to climate change. See below for a link to the summary report.